The practice of cutting hair can be done at home. Family members can cut the hair of one another. This particular practice can save the entire family lots of money. Instead of spending them on haircuts, why not learn how to cut hair and then apply this skill on one another. Doing this can save them time, money as well as the hassles of going out the house to do such simple thing. A good pair of scissors is the primary tool that people need to learn how to cut hair. Likewise, prepare a mirror, preferably a big one in order to have a better overview and control of the hair to cut. Bring in a nice regular comb to straighten out the hair before cutting. A spray bottle can also be a great help in the successful completion of this particular task, which will be used to dampen relatively dry hair. Let the person sit in front of a huge mirror, preferably one that is mounted on the wall. Use the comb to straighten out the hair and loosen strands that are knotted. 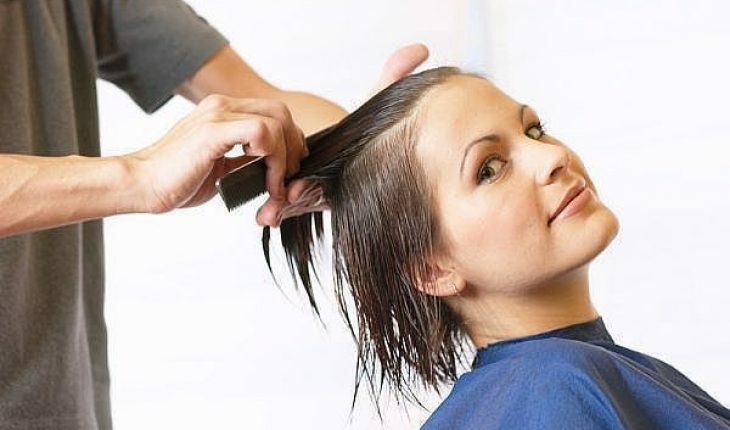 By doing this particular step, people can easily see how long they must cut the hair. Spray on some water until it becomes damp. This step is particularly important for individuals with curly and dry hair. It makes cutting a lot easier than doing it dry. Use horizontal sections to divide the hair in various parts. Use a clip to separate one part from the other. Start cutting hair that is nearest to the neck’s base. Remove the clip for that part and then begin cutting through this layer slowly but surely. Never hurry when doing this. 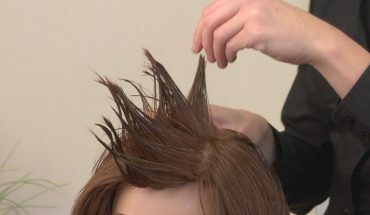 Slowly cut through the ends of the hair first until the desired length for the entire layer is achieved. The recommended size of every cut is around 1/8 of an inch. Using a nice pair of sharp scissors, this gives the much needed control in cutting the hair. Use the first layer of cut hair as reference for the succeeding layers to cut. Do the very same thing for each layer. Continue to cut until the desired length for every layer is achieved. Be sure to ask that person’s preferences when it comes to how long and how thick the hair must look. Check the length of the entire hair. Comb and fix uneven parts. Style and show off those newly cut hair. When doing a haircut, proper lighting is important. Hairstylists recommend the use of bigger mirrors for better control of the entire cutting process. 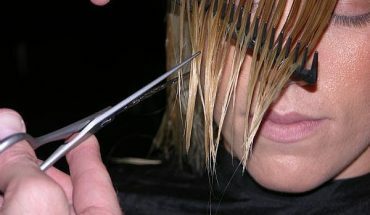 Before starting to cut hair, make it sure that the scissors are sharp enough for better performance. Cut slowly in order to prevent accidental cuts especially when it comes to the areas around the ears.